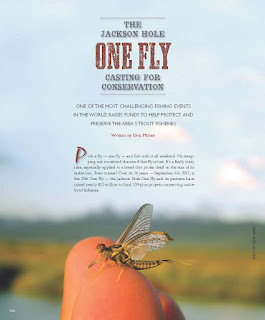 LIFE IS FLY, LLC: Kevin Emery's Fly Fishing Guide Service: Kevin Emery Photography graces the intro of the Jackson Hole One Fly story. Thanks Big Sky Journal. Love this idea- great way to make a need really realize how important something can be. Oh, and the picture!